Now, after you've got GNOME 3.32, its time to hunt Shell Extensions once again. Here I present you my choices of Extensions working for the 3.32 which are useful and productive. For example, you may notice that some extension such as NetSpeed didn't work yet on the 3.32, and you will find the replacement to be Simple Net Speed here. 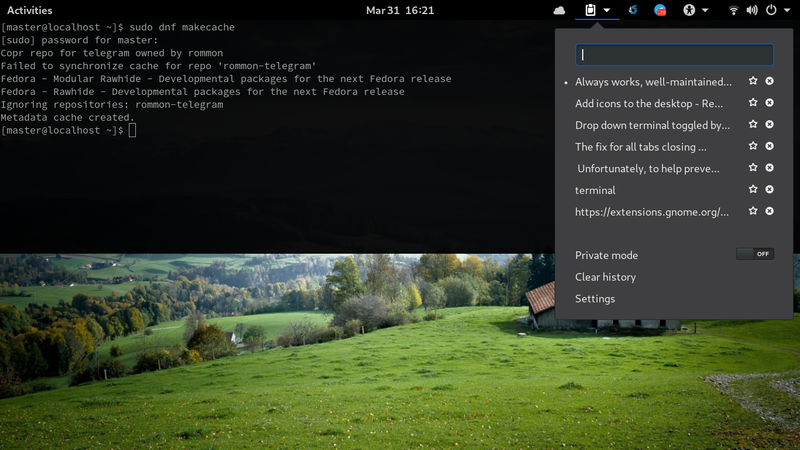 You can use Desktop Icons and Dash to Dock to have traditional working environment, use Drop Down Terminal if you often run command at any time, and a pair of Applications Menu and Places Status Indicator to make your screen behaves like GNOME2. It's still so many Extensions available out there but I hope this simplified list works for you. 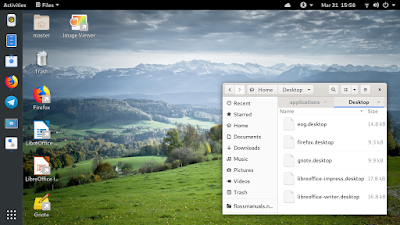 Enjoy GNOME 3.32! Do you want shortcut icons (like on Windows and Android) once again? Do you want left vertical panel like on Ubuntu 18.04 onward? Use Desktop Icons and Dash to Dock. To move central clock to right, use Frippery Move Clock. Unfortunately my favorite NetSpeed is not working on GNOME 3.32 yet, but Simple Net Speed works with similar live measurement of upload & download speed. 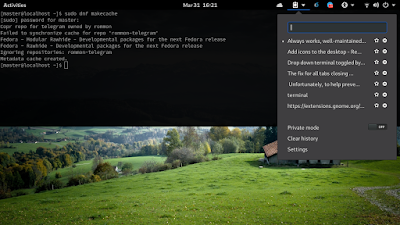 Just like Guake, you can have such thing now on GNOME 3.32 thanks to Drop Down Terminal. You can call it by pressing Apostrophe button or scrolling down on top panel. It's a really cool extension. 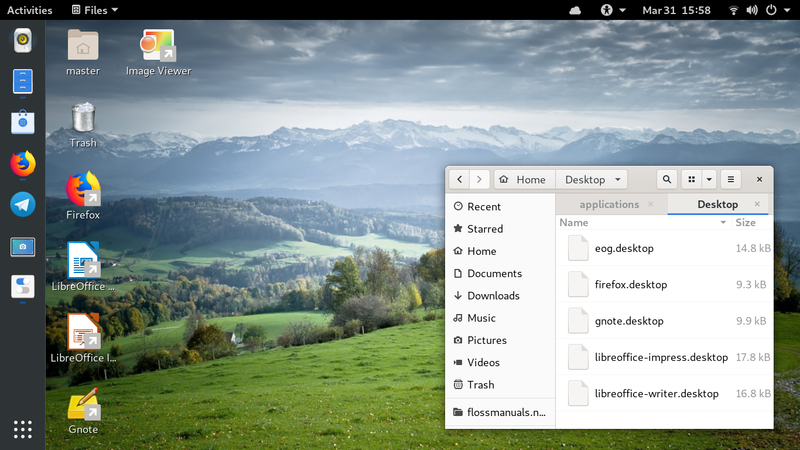 And you can have copied-text-storage just like KDE Plasma with Clipboard Indicator. 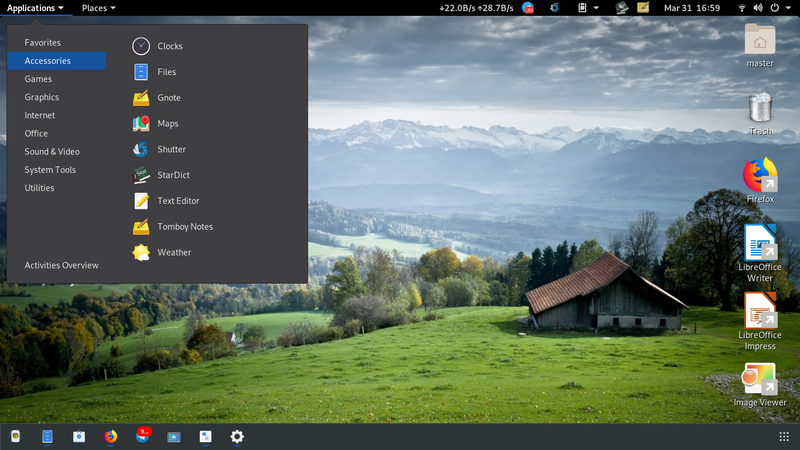 Do you want top menu like the menu on Tails GNU/Linux? Use Applications Menu. Do you want GNOME2's quick access Places menu again? Use Places Status Indicator.